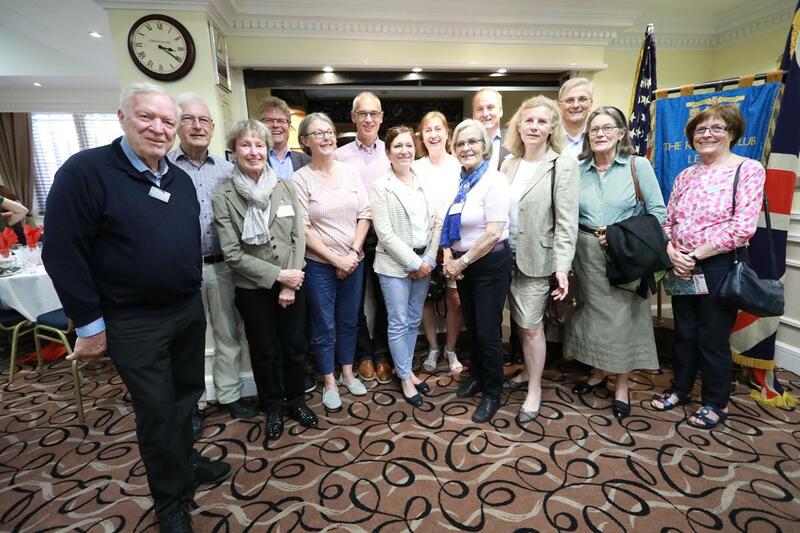 This year we renewed our long-standing friendship with members of our German twin club, the Rotary Club of Braunschweig-Richmond, as we hosted them in Leeds. In the group photo can be seen, left to right: Nikolaus Schimmel, Martin Kleemeyer, Christine Schimmel, Heinz-Joachim Westphal, Katrin Menze, Christoph Menze, Gabriele Ziehe, Anne-Dorothee Mächtig, Elke von Lewinski, President Klaus Ziehe, Martina Lins, Edgar Lins, Ingrid Höweler, and Katrin Lindemann. 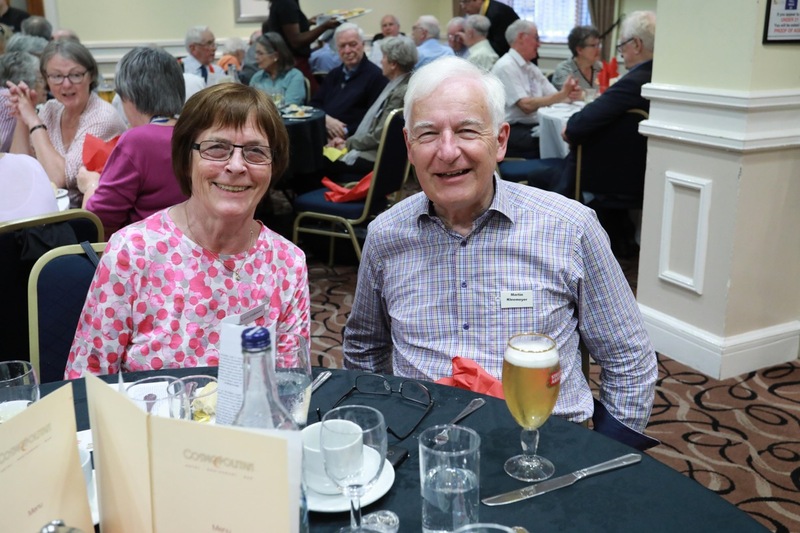 A number of us drove over to Manchester airport on Thursday afternoon to transport the party of 14 back to the Park Plaza hotel in Leeds and a brief informal tea and cakes welcome reception. 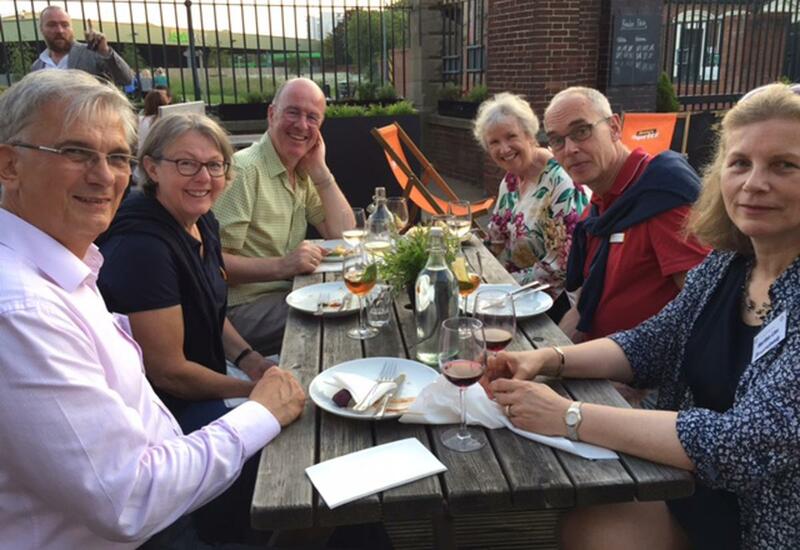 In the evening we accompanied them over to The Tetley for a barbecue meal. 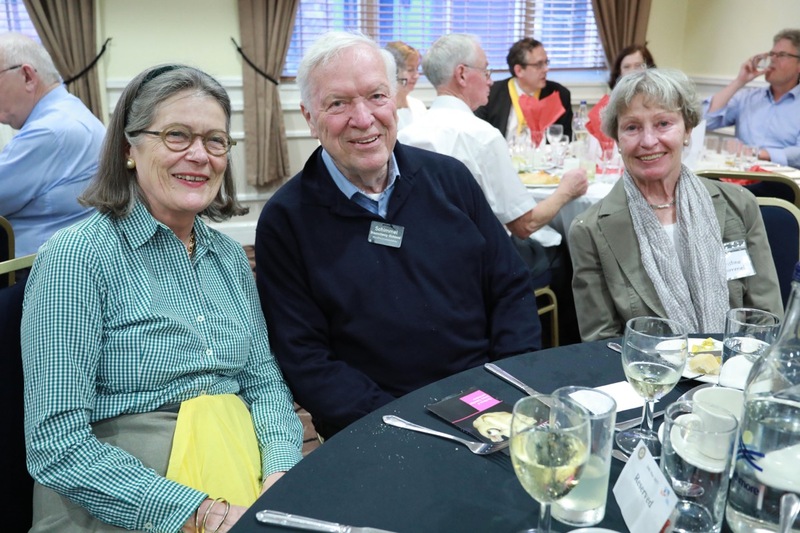 It was a mild night and many were able to sit outside and relax and chat informally to our guests after President Peter Loveday had manfully addressed the assembled company at considerable length in German, followed by President Klaus Ziehe speaking in his usual fluent English. 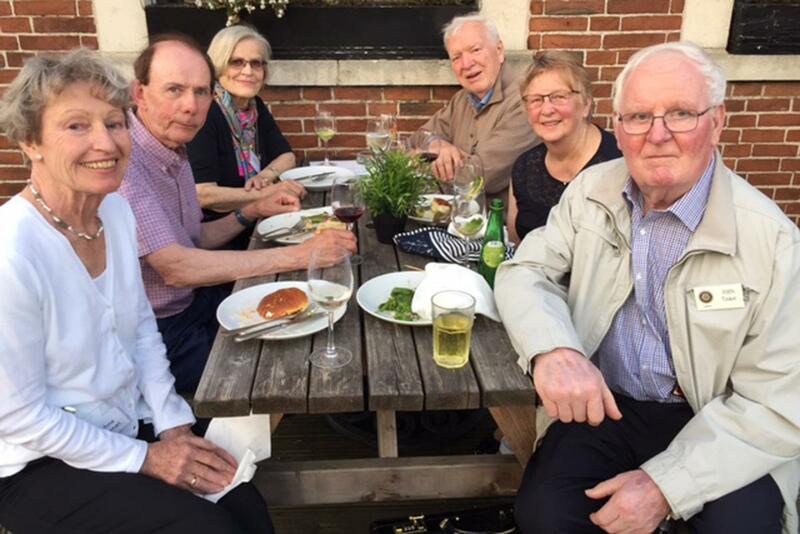 After a visit to the University of Leeds on Friday morning, the visitors met more of our members at our lunchtime club meeting at the Cosmopolitan Hotel. Rachael Cawte, the Cooke-Webster prizewinner, sang for us after lunch. A conducted tour round the new Victoria Gate shopping centre was cancelled by the management because of the recent terrorist incident in Manchester, but this gave our guests some free time for shopping or otherwise relaxing. 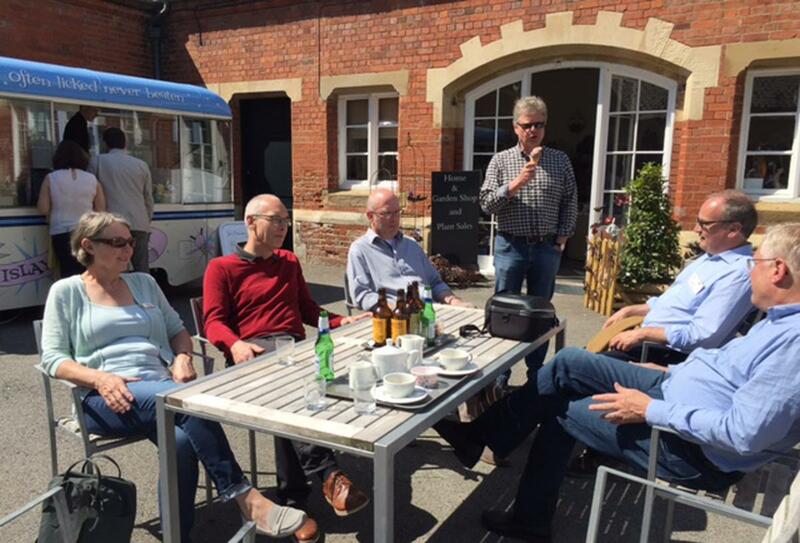 In the late afternoon, three more of our German friends arrived by motorbike, having ridden over from Braunschweig and visited the Bentley factory at Crewe on the way. 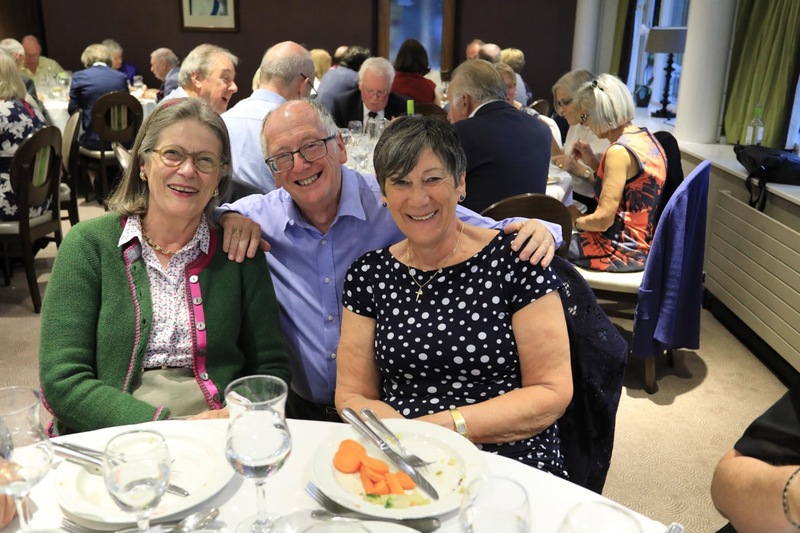 On Friday evening our guests were entertained to dinner in the homes of some of our members. 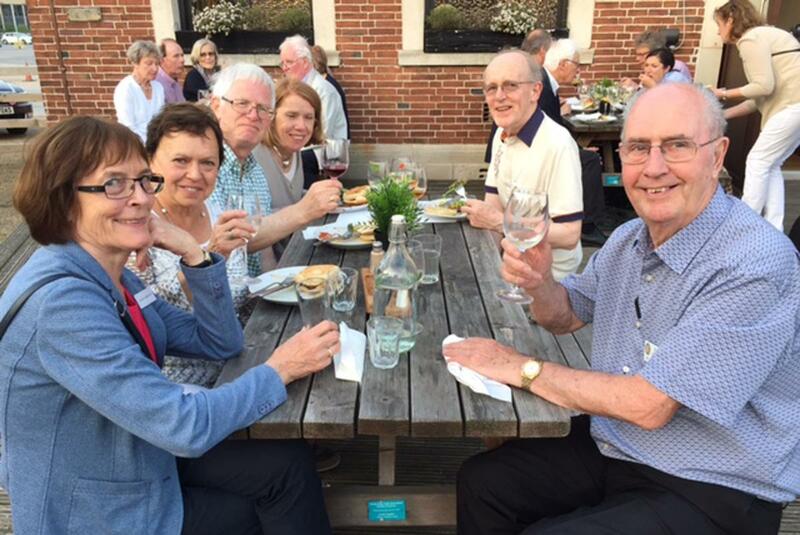 These dinner parties are always a highlight of these visits when we can all to get to know each other better and strengthen our international friendships in home surroundings. Saturday saw everyone rise bright an early to board the hired coach at the Park Plaza to take us all to Burton Agnes Hall, near Bridlington. We were given a most interesting tour of this striking stately home built between 1598 and 1610 and still occupied by descendants of the founder. 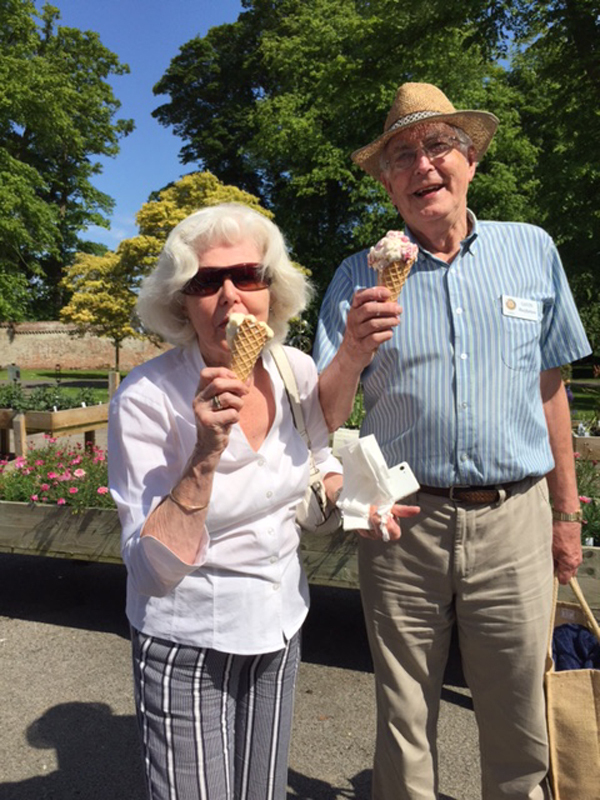 We were able to sit out for lunch in the warm sunshine and to stroll at leisure round the beautiful grounds. 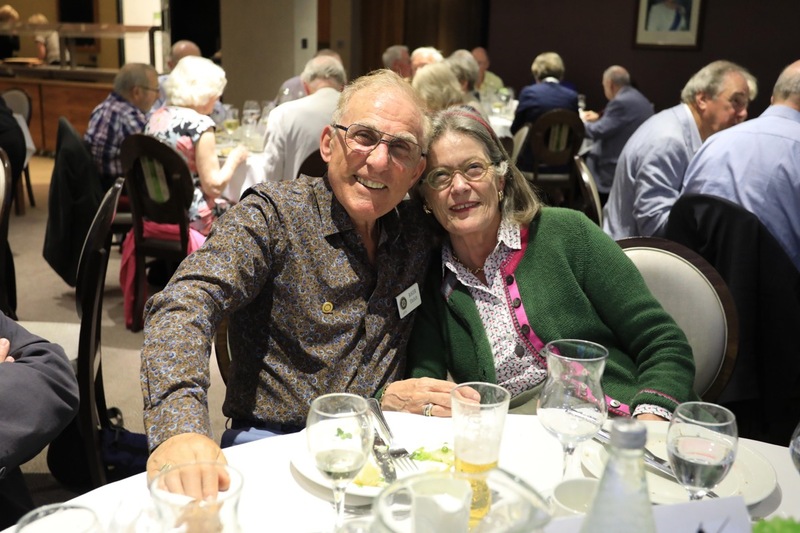 In the evening we all enjoyed a farewell dinner at Sand Moor Golf Club. President Peter thanked the visitors for coming and said that the visit had been the highlight of his presidential year. PP Nikolaus Schimmel spoke of the history of the links between the two clubs and the mutual respect which had grown over the years. President Klaus Ziehe presented a framed memento of the visit and CDs for everyone with photos of each of the visitors. A few of us gathered at the Park Plaza the next morning to wave off our German friends in the coach we had hired to take them back to Manchester airport. 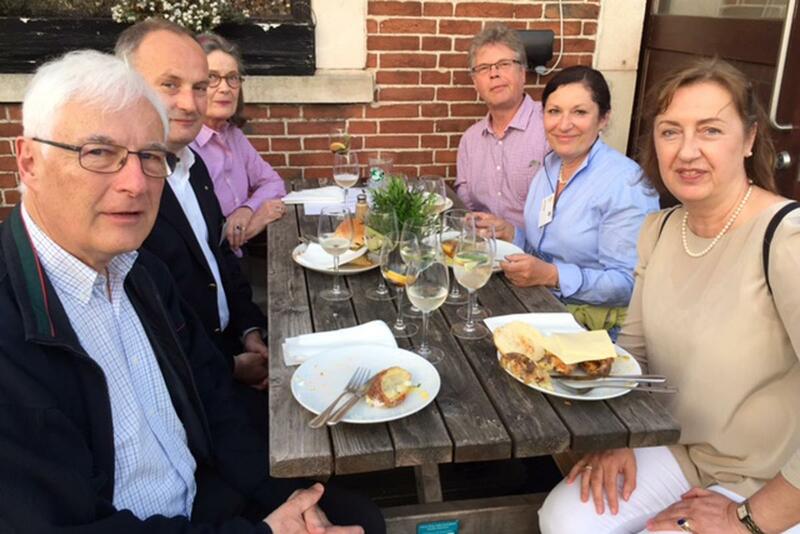 We look forward to visiting Braunschweig in 2019 to continue and strengthen our long association with the Rotarians of Braunschweig-Richmond.